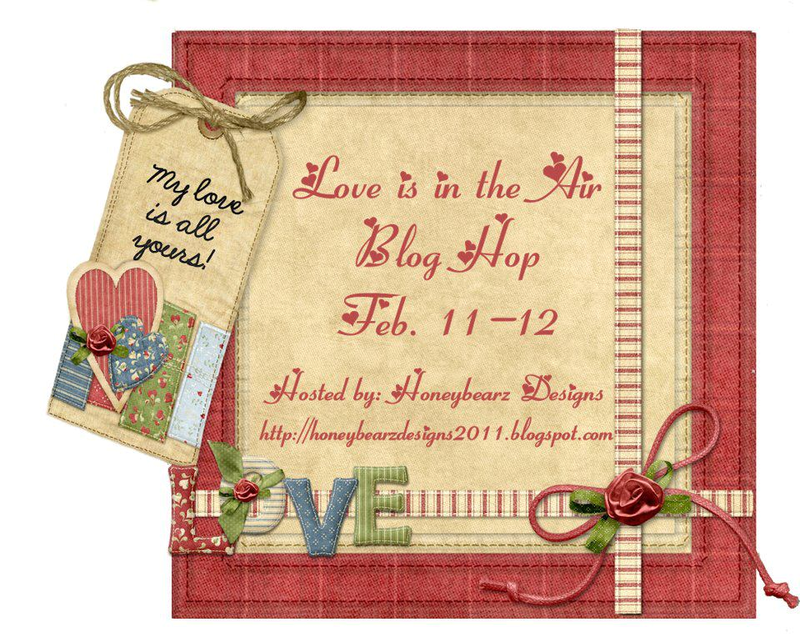 Welcome to the Love is in the Air Blog Hop! You should have just come from Mindy's blog (please post link). If you are just joining the hop and wish to start from the beginning, please visit Lisa's blog . The complete blog hop lineup is at the bottom of this post. This is a two-day blog hop. So, please be sure to stop by tomorrow also! The Image is a digi stamp "Tweet Hearts" from SST's valentine collection colored with Bic Mark-It markers on white card stock. The border was done with an EK Success punch added some satin ribbon to finish it up. The Sentiment is an acrylic stamp from my collection. I have 3 grandchildren so I created 3, each a different color of birds Hope you like my creation and come back tomorrow for another fun project! Thank you for stopping by my blog today.Please hop on over to Erica's blog next to see what she has to share with you! Happy Valentines Day and see you soon! I love candy wrappers and these are adorable!! The kids are going to be very happy! I love Tweet, this is too cute!! What a great, fun idea! Those would be great for my gsons class parties! TFS! Those are so cute! Thanks so much for sharing a great idea! Your covered Hershey bar is adorable. Thanks for sharing. What a cute way to wrap the yummy goodness! Love it! So glad to be in this hop with you! Aww so cute!! I love tweet on the candy bars! Your grandkids are going to love them!! great idea on the candy wrappers! fabulous job coloring! Lucky grandchildren! These are so cute!